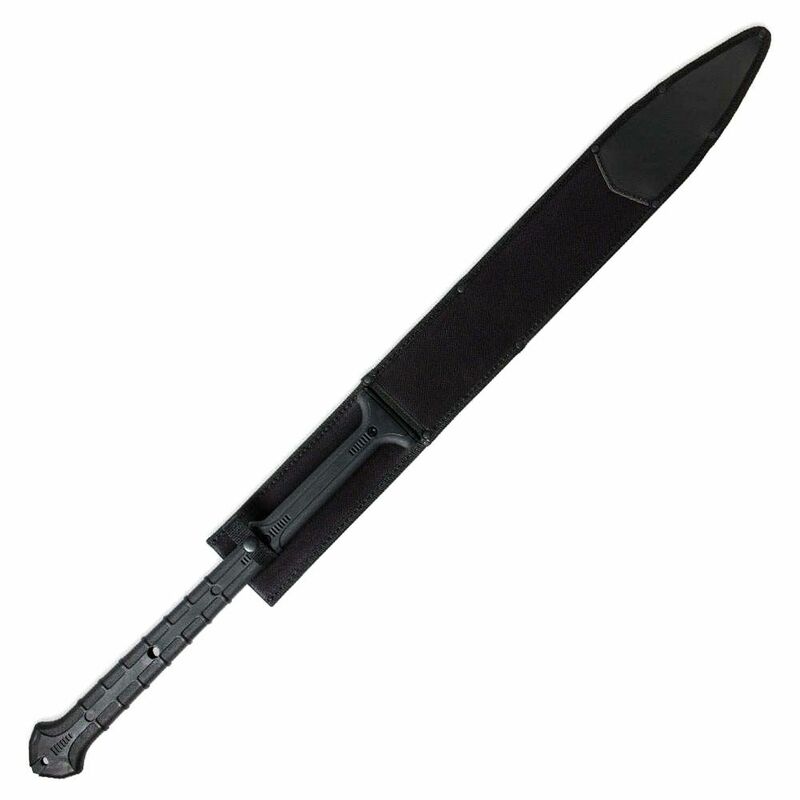 Channel your inner warrior with the Combat Commander Two-Handed Gladius Sword by United Cutlery. The handle and blade are both 51 cm, creating a well-balanced sword that is easy to manoeuvre. The nylon fiber handle offers many grip variations for two-handed leverage. 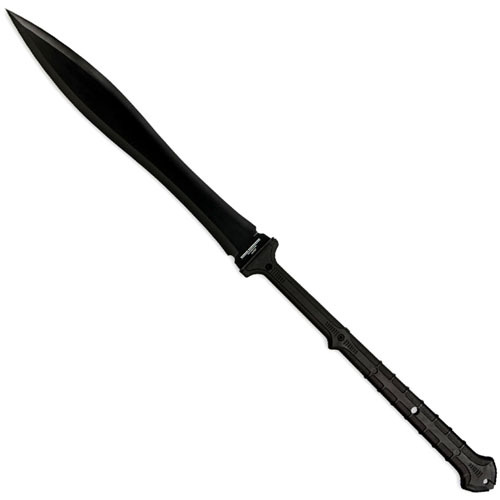 The blade is 1065 carbon steel with a black hardcoat finish. It can take a beating and it's not as difficult to sharpen as some other carbon steels.